In an era where PDF files have become the de facto standard of file exchange for print production, is it realistic to expect that a single PDF file, rendered through different prepress production systems (RIPs), will result in the same color output from all of them? In this study, PIA/GATF provided PDF files containing CMYK and RGB objects, both tagged ICC profiles and untagged, to vendors of eleven different workflow systems. 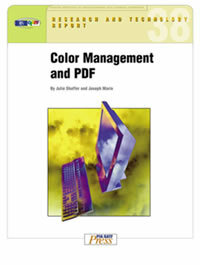 The vendors output these files through their respective systems in three ways: with color management turned off, with color management turned on and set to honor the embedded ICC profiles in the PDF documents, and with color management turned on and set to ignore the embedded ICC profiles but to use a supplied ICC profile instead. The resultant high-resolution TIFF files were returned to PIA/GATF for proofing and analysis. The findings are presented here, along with samples of the final output from all of the participating systems.